The world of physical objects is becoming increasingly interconnected in an emerging Internet of Things: smart appliances and thermostats that can be controlled from your smartphone, internet-enabled surveillance cameras and even interactive kids’ toys that allow children to send electronic messages to their parents. It’s a convenient, device-free alternative, not requiring adding any extra cameras, scanners, microphones, wearable tags, sensors or cards to an already crowded ecosystem of devices. 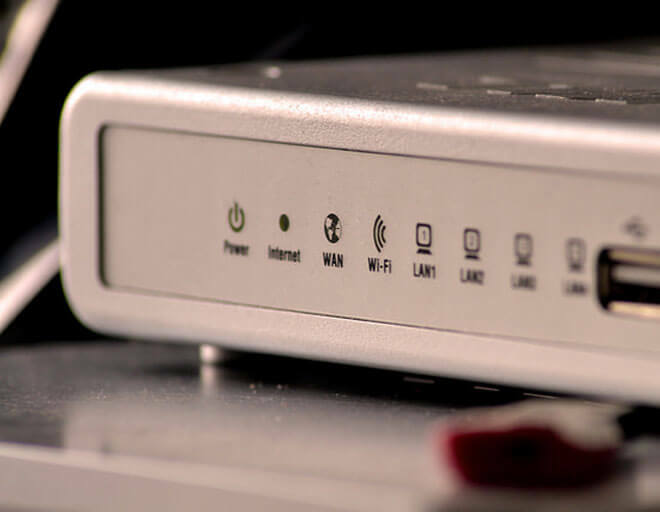 While these connected objects offer the greater convenience and personalization, many of these devices are unsecured, meaning that they can be vulnerable to hacking, as we’ve seen with security cameras that spy on you, secretly connecting to vast peer-to-peer networks or WiFi-connected toys that can inadvertently leak your data. Improved modes of authentication will be a key factor in designing secure, smart objects in the future. While there have been a number of methods proposed for human identification, such as facial recognition, gait recognition and using biometric data like fingerprints, some of these scanning devices themselves can be hacked, or need close proximity to work and additionally, would require even more supplementary devices like scanners, and can be quite intrusive at the same time. Now, a team of researchers from China’s Northwestern Polytechnic University is proposing a better alternative to Internet of Things authentication, however. 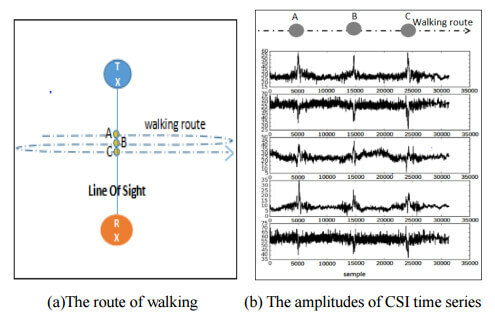 As reported by Motherboard, the method uses the near-ubiquitous, radio-wave frequencies (RF) of WiFi to identify individuals, by pinpointing the unique perturbation pattern produced when they move around and interrupt these signals, according to their unique body shape and gait. Dubbed FreeSense, the method tracks changes to a WiFi signal’s channel state information (CSI) as it propagates through space between a transmitter and a receiver. The experiment tracked nine individuals in a furnished, 322-square-foot smart home environment, using a conventional WiFi router and laptop. The researchers first trained their system with data gleaned from each individual’s gait as they walked across the room in a straight line. Afterward, the researchers repeatedly sent the test subjects walking across the room to see how accurate the system would be in identifying each individual. Surprisingly, the system performed quite well. With only one person in the room, it was capable of distinguishing him or her 75 percent of the time; with two people it was accurate 95 percent of the time. With six people moving around in the room, FreeSense was able to identify each person with an accuracy rate of around 90 percent — a pretty decent result, considering that some individuals may be harder to differentiate if they move in a similar way or have the same body shape. The researchers are now working to increase the performance of the system in various scenarios. While some of us may find the possibility of WiFi-based tracking a bit unsettling, in an increasingly interconnected world that links people with a network of smart devices, better security protocols are certainly needed, and identification via WiFi may be one of those tools to add to the mix. There are some clear advantages to using WiFi signals for authentication. First, it’s a convenient, device-free alternative, not requiring adding any extra cameras, scanners, microphones, wearable tags, sensors or cards to an already crowded ecosystem of devices, instead relying on already existing WiFi infrastructure to operate. Unlike a camera, pervasive WiFi signals won’t need sufficient light and line of sight to help identify users. It’s certainly less invasive and tedious compared to methods like facial recognition and fingerprinting, and seems to be well-suited for domestic, small-scale uses like in homes, or in monitoring applications in hospitals or assisted living environments equipped with smart appliances and technologies. In any case, with the potential to track and identify people, to the possibility of battery-free devices that charge through WiFi, or wirelessly powered programming and computation, these invisible waves that surround us may have even more capabilities to connect us than we imagined.